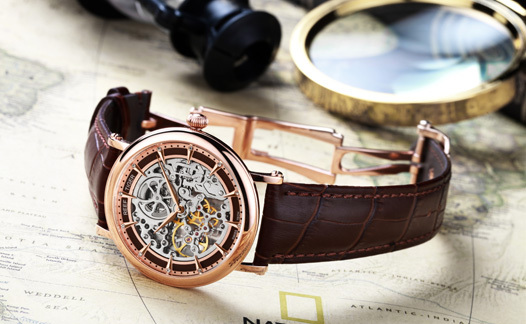 The inspiration of Reef Tiger Artist Métiers d'Art watch comes from art thinking and respect, with hollow and carving watchmaking technology, to pay tribute to the outstanding achievements of artists in the Renaissance. Reef Tiger Métiers d'Art adopts baroque design style, uses space and three-dimensional design to show the watch beauty, the hollow and carving technology perfectly combines with the traditional art deco art. 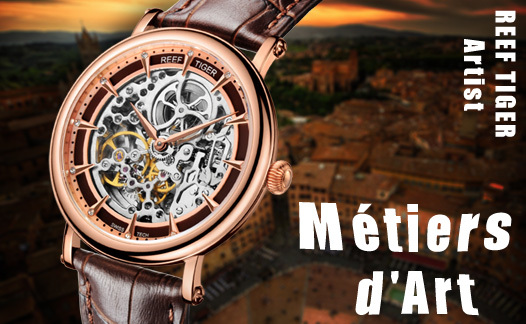 Métiers d'Art has traditional elements integrated, 40mm case is elegant and generous, 9mm thickness brings rounded feeling, the arc lines of bezel and pumpkin-shaped crown reveal rich retro atmosphere. 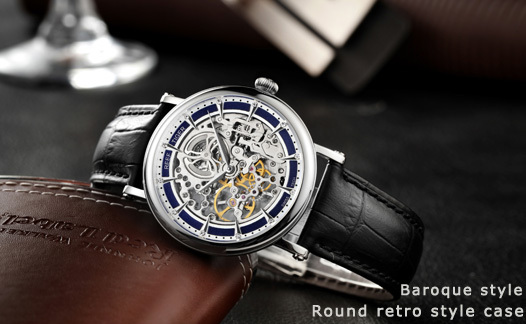 To fit the rounded case body, the watch uses L design on the lugs, which have screws to connect the straps, the rugged screws are in shape contrast with the slender lugs, which brings an increadible beauty. Métiers d'Art is equipped with imported Italian calfskin strap, coupled with specially designed folding clasp. The band is soft and comfortable and clasp has graceful lines, making the watch more elegant.